Prominent & Leading Distributor / Channel Partner from Noida, we offer r04cpu modular plc, fx3u-16mr/es modular plc, l02scpu l- modular plc, r08cpu modular plc, r16cpu modular plc and r32cpu modular plc. 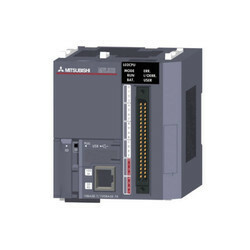 Thank you for purchasing the Mitsubishi Electric R04CPU Modular PLC programmable controllers. This manual describes the specifications, procedures before operation, and troubleshooting of the relevant products listed below. To ensure that Mitsubishi programmable controllers maintain EMC and Low Voltage Directives when incorporated into other machinery or equipment, certain measures may be necessary. Please refer to one of the following manuals. Safety Guidelines (This manual is included with the base unit.) The CE mark on the side of the programmable controller indicates compliance with EMC and Low Voltage Directives. To ensure that this product maintains EMC and Low Voltage Directives, please refer to one of the following manuals. This manual describes the part names, dimensions, mounting, cabling and specifications for the product. This manual is extracted from FX3U Series User's Manual - Hardware Edition. Refer to FX3U Series User's Manual - Hardware Edition for more details. Before use, read this manual and manuals of relevant products fully to acquire proficiency in the handling and operating the product. Make sure to learn all the product information, safety information, and precautions. And, store this manual in a safe place so that you can take it out and read it whenever necessary. Always forward it to the end user. 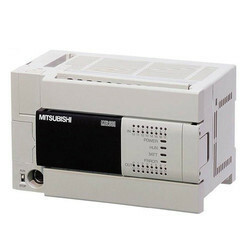 Thank you for purchasing the Mitsubishi MELSEC-L series programmable controllers. This manual describes the functions of the external I/O interface of the LCPU and programming. Before using this product, please read this manual and the relevant manuals carefully and develop familiarity with the functions and performance of the MELSEC-L series programmable controller to handle the product correctly. When applying the program examples introduced in this manual to an actual system, ensure the applicability and confirm that it will not cause system control problems. We offer R08CPU Modular PLC to our clients. We offer R16CPU Modular PLC to our clients. We offer R32CPU Modular PLC to our clients. We offer FX3U-32MR/ES Modular PLC to our clients. We offer FX3U-48MR/ES Modular PLC to our clients. 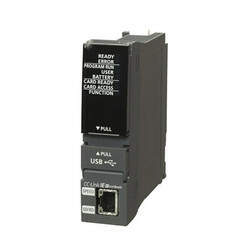 We offer FX3U-64MR/ES Modular PLC to our clients. We offer L02SCPU-P L- Modular PLC to our clients. We offer L02CPU L- Modular PLC to our clients. We offer L02CPU-P L-Modular PLC to our clients.